Technological advances in the medical and dental industries allow doctors to regularly offer better standards of patient care, improved lead times, reduced costs and increased accuracy and reliability. 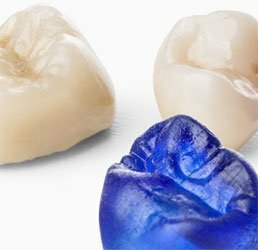 As a ground-breaking technology, 3D printing for dentistry and medicine is perfectly in line with the major technological improvements that are making the health sector advance even further. 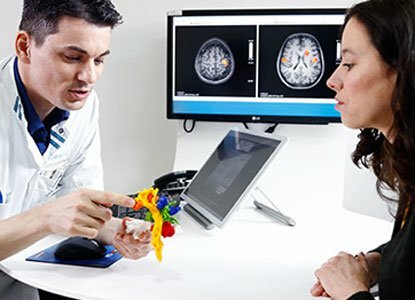 By getting equipped with desktop 3D printing equipment, medicine is opening up to new prototyping and procedure assistance tools, without, however, paving the way for bio-compatible implants, which currently remain the domain of advanced 3D printing, with equipment starting at around €20,000. Combined with CAD and scanning tools, desktop 3D printing is the cornerstone of an evolution in the medical and paramedical profession towards more responsiveness, accuracy, comfort (for the doctor and the patient), and modernity. 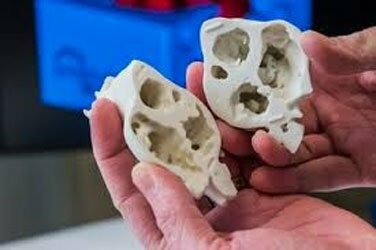 3D printing stands out as a revolution allowing physicians to focus more on the patient by leaving the problems of production of tools to specific, standalone machines, rather than resorting to laborious manual modelling of moulds, for example. 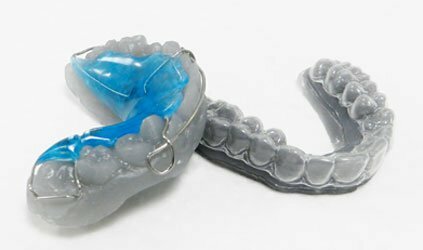 Dentists and dental technicians are probably the medical sector trades for which desktop 3D printing brings the greatest revolution. Equipped with an intraoral type of scanning tool, the dentist will be quite capable of sending 3D files of his patients'teeth to the dental technician. With a reliable and highly accurate scan, the dental technician can easily use a 3D printer. With this made-to-measure oral scan, and equipped with an accurate 3D printer, the dental technician can quickly and very precisely print templates, study models, surgical guides or other imprints for moulding (in particular, thanks to lost wax casting through castable resin), and all this at a lower cost. The oral scanning of patients also allows the dentist to archive and reliably and simply assess changes in the patient's situation in an unconstrained manner. Having recourse to digitisation and digital manufacturing tools makes it possible to reduce patient downtime, improve the accuracy of models, optimise conditions and reduce manufacturing cycles for prostheses and dental moulds. Dental technicians are thus part of a modernisation approach for their advanced tools, while retaining their expertise. Having recourse to 3D printing for dentistry also lowers costs by only having recourse to a single type of equipment, reducing labour (to refocus on high value added work), and dramatically increasing productivity. In addition, training in these scanning and digital manufacturing methods is quick and easy, more so than traditional methods. As for dentistry, the medical and surgical sectors are heavy users of 3D printers. 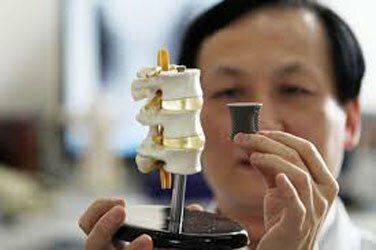 However, we must distinguish specialised 3D printing for medical and bio-compatible production, from desktop 3D printers, which are model design and procedure support tools. A phase of the process that is upstream from medical and surgical procedures. Indeed, the medical profession could use desktop 3D printers for designing templates and surgical guides, creating study models to better identify and be able to show patients the intervention areas, etc. 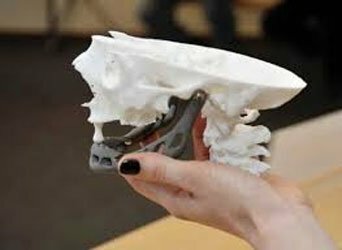 Printing study models also helps make teaching medicine more exciting and interactive, and medical research more effective, by quickly printing at will all kinds of models: implants, prostheses, organs, jaws, etc. As for the dentistry, 3D printers will reduce patient downtime, save time in the operating room and, therefore, lower related costs and allow faster recovery for the patient. This is probably the most well-known application of 3D printing for medicine by the general public. Since the emergence of 3D printing in 2012, there have been more stories of patients who have had the opportunity to benefit from made-to-measure prostheses at a very competitive cost than we can count! Take, for example, the story of Maxence, a 6 year old from Isère who was born without a right hand. On 17 August 2015, he benefited from a made-to-measure prosthetic hand at the previously unimaginable price of only €50! The prosthesis was made and printed by a Parisian volunteer from the American association E-Nable. Obviously, this is a prosthetic hand that will never equal a Medical prosthesis worth several thousand euros. Maxence was simply provided with a new member allowing him to make the most simple movements, like catching a ball, holding the handlebars of his bike or swinging, but not playing a musical instrument, like the violin or piano for example. 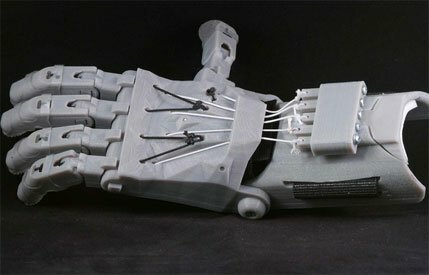 By manufacturing prostheses in a quick, customised and low-cost manner, 3D printing at the service of medicine also has the power to bring a smile to people in need. 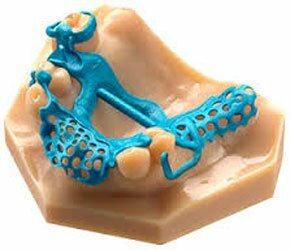 Which 3D printers for medicine and dentistry? Probably more than other fields, medicine and dentistry have a very great need for precision. The 3D printer dedicated to medical applications must offer the finest possible print in order to be able to print the smallest objects (such as teeth) or the thinnest possible walls (in the case of a skull scan, for example). 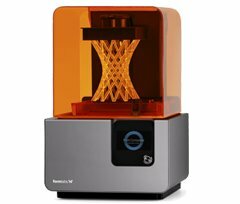 The most suitable technology for the medical industry is SLA (stereolithography, or resin printers), whose most famous representative worldwide is Formlabs with itsForm 1+. 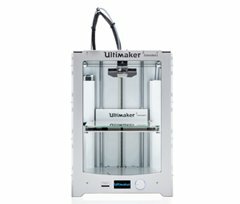 For prints that are a little more voluminous (like a jaw, for example), the most accurate FDM 3D printers are the Ultimaker 3D printers, with their 20 micron maximum layer height. For the medical and dental industries, we recommend you stick with these two manufacturers for optimum results. The most accurate and most versatile FDM 3D printers on the market. The Ultimaker 2 + Extended allows you to print layers as thin as 20 microns, with nozzles ranging from 0.25 mm to 0.8 mm, and printing of all available materials. The best FDM choice for medicine. Stereolithography technology (SLA, or laser curing) providing unsurpassed print fineness in fused deposition. This is definitely the most suitable desktop 3D printer for medicine and dentistry, for its ability to provide a perfect finish, and because it also allows resin printing for lost wax casting.